This sculpture is dedicated in humble tribute to those of the Sheriff's Office who have sacrificed their lives in service to the people and as an inspiration to present and future generations of Peace officers. 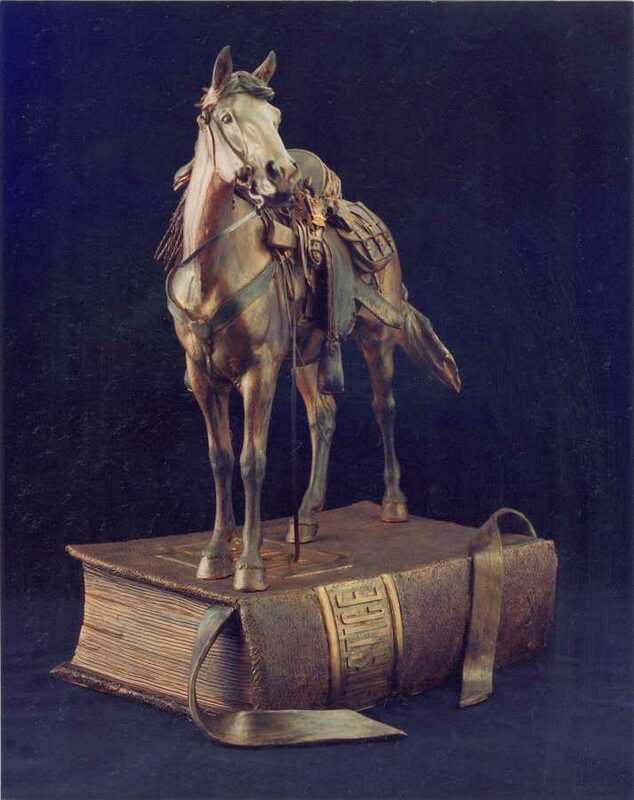 In this sculpture, a Spanish Colonial horse was used as the model exemplifying living history at its best! It is a breed of horse that dates back to 1493, arriving in the New World with the Conquistadors and bred by Father Kino at the missions he established from Mexico to California and especially popular in the Southwest in the late 1800’s. With a rich and long history, and only the hardiest surviving over the years, they were thought to be extinct at different times. By 1920 they were, indeed, faced with extinction except for a small documented herd which remained tucked away and forgotten in southern Arizona at the Wilbur-Cruce Ranch. This ranch was purchased by the Nature Conservancy on behalf of the U.S. Fish and Wildlife Service in 1989. In January 1990, a movement was spearheaded to protect this herd and increase its size. The history of the Wilbur-Cruce herd is one that cannot be duplicated. No other herd of Spanish-descended horses can be traced with the accuracy of the Cruce herd. These horses are the purest of the original breed and considered the strongest, sturdiest and distance-capable horses. They were referred to as “rock horses” by the Indians because of their agility and toughness in difficult terrain and it has been said that they have a considerably keen intelligence coupled with a dog-like loyalty to their masters. This was the type of horse still being ridden in the early 1900’s by people throughout the West. 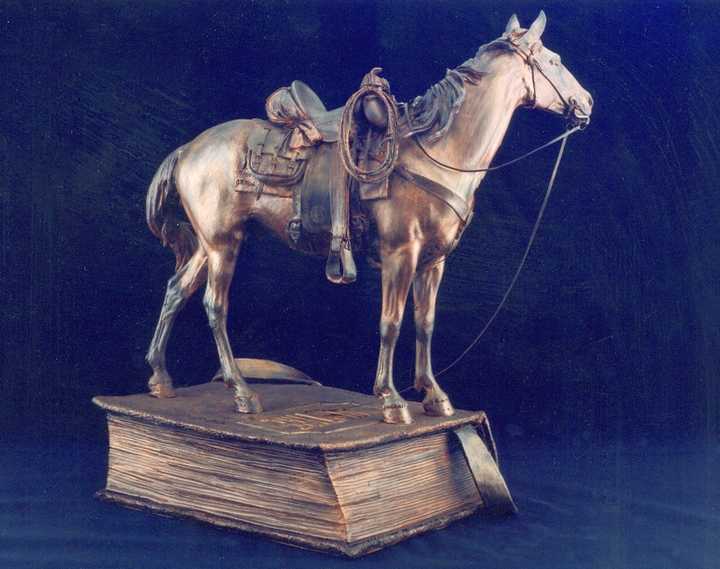 It is the horse chosen by James Muir for this 1920’s era sculpture commissioned by the Sheriff’s office for the center of Phoenix. Muir, himself, owned one of these magnificent horses named “Diamante’, a half brother to the actual model “Jake”. The saddle and equipment featured in the sculpture are also from this era and historically correct. There are small breeders, as well as privately owned Spanish Colonial horses available today. These individuals are keeping the legend alive and also, through their selective breeding programs, enabling some of the unique original Spanish “Barb” characteristics to be re-established in the American Barb breed, as well. 13th Bullet:	The Eternal Enigma.